Workforce Health Assessors (WHA) are proud to announce we welcomed our very first Adelaide facility to our national network in 2018! After some time planning our South Australian launch, we found a brand new home in a beautiful, newly renovated facility in North Adelaide’s cosmopolitan Melbourne Street. With the first six months behind us, we’re proud to have worked with a a collection of well-respected national companies such as Downer Group and Broadspectrum, who no longer have to travel afield for health assessment and support services. 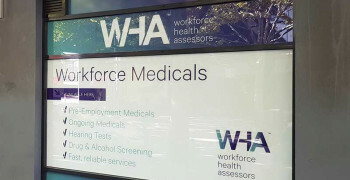 Offering the full range of workforce health services, the Adelaide rooms are well-equipped with all the latest technology and assessment tools to ensure clients and their candidates receive the best service possible, in the most efficient manner. Some of our popular health services include pre-employment and ongoing medicals, drug and alcohol screening, hearing assessments and vaccinations. 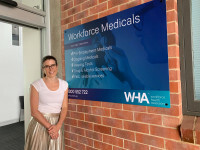 WHA’s Adelaide owner, Juliet Richards, describes the team as friendly, attentive and exceptionally helpful professional experts . The team consists of Doctors, Nurses, Pharmacists and Exercise Physiologists and are well equipped to provide clients with better, and more accurate advice on any identified potential risks or concerns. 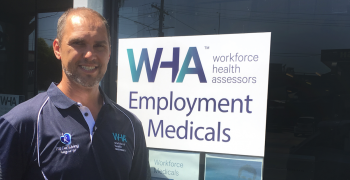 The WHA Adelaide facility strives to ensure appointments are available within short time requests, and can deliver results in a same-day turnaround for urgent bookings. If the health and wellbeing of your staff is on your workplace wishlist. 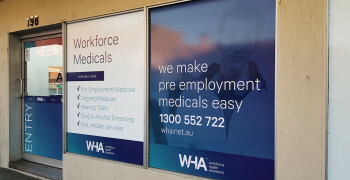 Visit Juliet and the WHA Adelaide team at 263 Melbourne Street, North Adelaide or contact WHA on email here or phone our Australian call centre on 1300 552 722 to book now. How long have you lived in Adelaide? I have grown up in Adelaide. Born in Perth, lived in Sydney in 2010, and in Adelaide for the rest! What is your favourite past time? Reading, hanging out with my two miniature dachshunds, exercising, listening to inspiring podcasts and enjoying good food and wine with friends and family. Favourite restaurant in Adelaide? This is a tough question! Breakfast at Karma and Cow, Lunch at Magill Estate Kitchen or somewhere in McLaren Vale (Coriole) and dinner at Oggi. Are You Unaware Of Hearing Loss In The Workplace?